After the first two episodes of The Apprentice I expected this one, as with the others, to have me shouting and laughing at the TV at what a bunch of idiots Lord Sugar had chosen to be in the running for this year’s apprentice, oh! How disappointed I was! After continued poor performance from team Summit during the past few weeks leaving the teams uneven, it was time for Lord Sugar to mix things up a bit. No longer being given the chance to prove that ‘boys are better than girls,’ the teams were separated. Daniel, Steven and Filepe the ousted weakest links of team Summit made their way over to Tenancity while Nuran, Roisin and Lindsay joined Summit. Katie nominated herself to lead team Tenacity due to her love for the product, while Summit was led by accountant Roisin. With the amount of times Lord Sugar reiterated it, it was pretty clear that the real purpose of the task was to focus on creating high profit margins not on the actual scented candle itself. Surely an accountant like Roisin would have been able to grab this concept but no, surprisingly it was Katie that adopted this strategy successfully. Sticking to her guns even though some team mates disagreed with her she scraped her team into a near win by £14 despite have stock left over. The boardroom brought us another double elimination. Poor Lindsay was fired before even making it to the café, but it was clear that she was not happy in this competition and was pretty lucky to have lasted as long as she did. With Lindsay fired, there were only two people Roisin could bring back, Nuran and James, Nuran for not selling anything and James for panic selling like he was on his Sunday market stall. In my honest opinion they both should have gone, however it is all too obvious that Lord Sugar does actually see a little bit of himself in James so doubtless he will be on our screens for a little while longer. 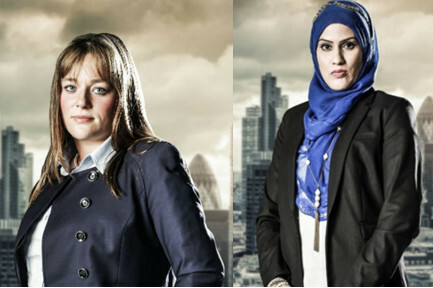 So in the third week we said goodbye to Nuran, leaving 15 candidates in the running to win The Apprentice. This entry was posted in Blog on 24th October 2014 by Velocity.